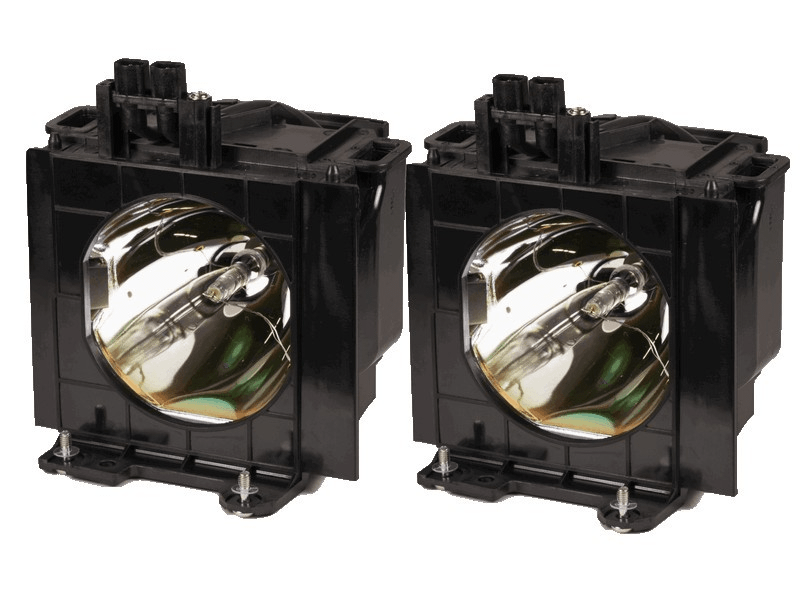 This ET-LAD55W Panasonic twin-pack projector lamp comes with genuine original 300 watt Ushio bulbs inside rated at 4,500 lumens (brightness equal to the original Panasonic lamp). The ET-LAD55W Twin-Pack has higher lumen output and longer lamp life than other cheaper generic replacement lamps being sold elsewhere. It also has a Lamp Run-Time Module that is calibrated and tested during Pureland Supply's quality control process. Our lamps are guaranteed to operate the same as the original and will count your run time correctly to ensure proper function of your projector. Very pleased with the overall quality of these lamps and the easy ordering process. We have tried purchasing Panasonic twin-packs for our PT-D5600U projector from several different vendors and usually have an issue with our lamp timer resetting. We called Pureland Supply and explained this problem and they knew all about it. Their timer chips are tested and calibrated to make sure the timer resets properly - and it does! Our twin pack came with the Ushio bulbs and works perfectly. Very pleased with the overall quality of these lamps and would highly recommend Pureland Supply.